Come join us and learn how to make something beautiful. One of the main goals for these workshops is to help reinvigorate the idea that everybody is capable of making amazing things. There is something truly satisfying about physically making something with your own hands, and we hope these workshops help people experience just that. Each course is a single day from 10am to approximately 5pm. 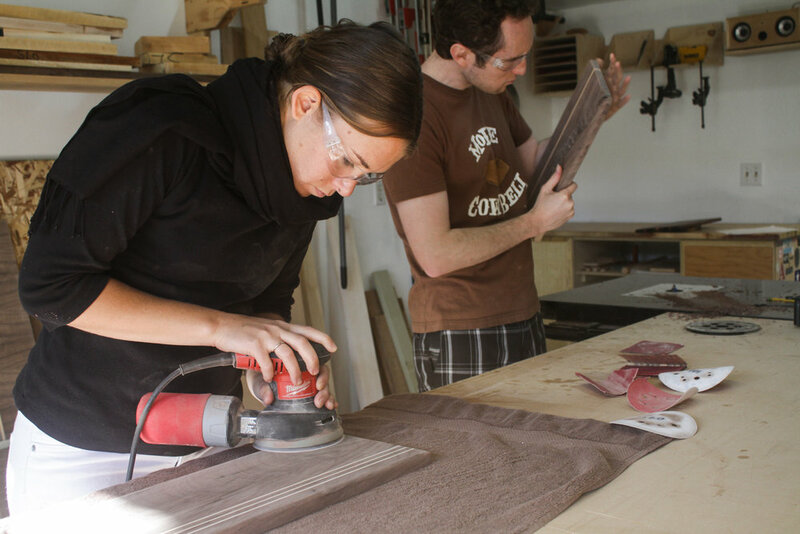 The course will be based around each participant building a hardwood cutting board from start to finish. Think of it as Woodworking 101. The great thing about making a cutting board is that many woodworking techniques are used for this fairly simple piece, making it an ideal introductory project. 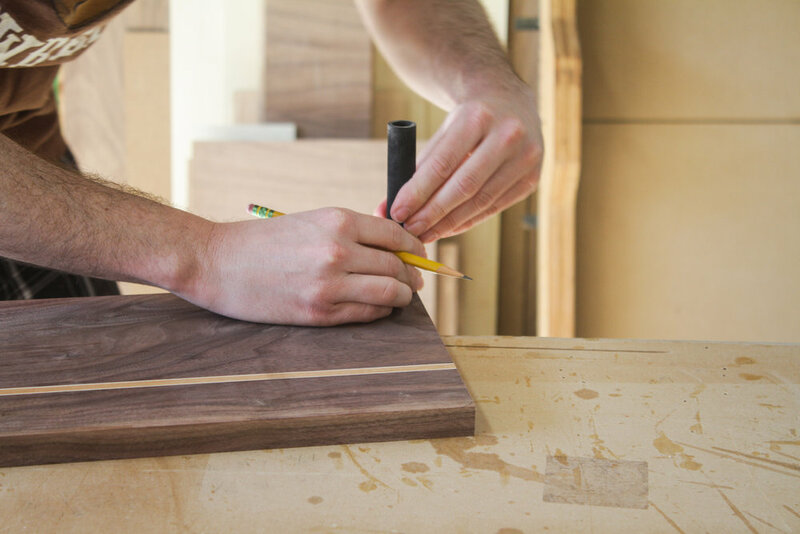 And the best part is each person will leave with their own one-of-a-kind cutting board that they can proudly say they made with their own hands. At the conclusion of each course, stick around and talk shop while enjoying some local beverages and appetizers. Minimum group size of 3 people. Please include your preferred workshop date and the names of all participants in the "additional information" space provided. Saturdays only. Some Sundays available by request. All cancellations must be confirmed at least one week prior to the start of the workshop for a full refund. Have more questions? Check the FAQ. Be the first to hear about upcoming additonal Saturday Workshops and all the other cool things happening at SBMT.